Check out these different kinds of bedroom ideas for couples. Each one of it has a distinct style and decor. You can easily design a romantic master bedroom for yourself by going through these. So, go ahead and take a look. Here is a ravishing Victorian bedroom for couples. It has an extensive collection of richly ornamented and detailed pieces of furniture. I love the color scheme, it’s warm and welcoming. Do up a romantic bedroom in eclectic style. Decorate the room with a cool rug and an elegant chandelier. Create a small indoor and outdoor sitting space. 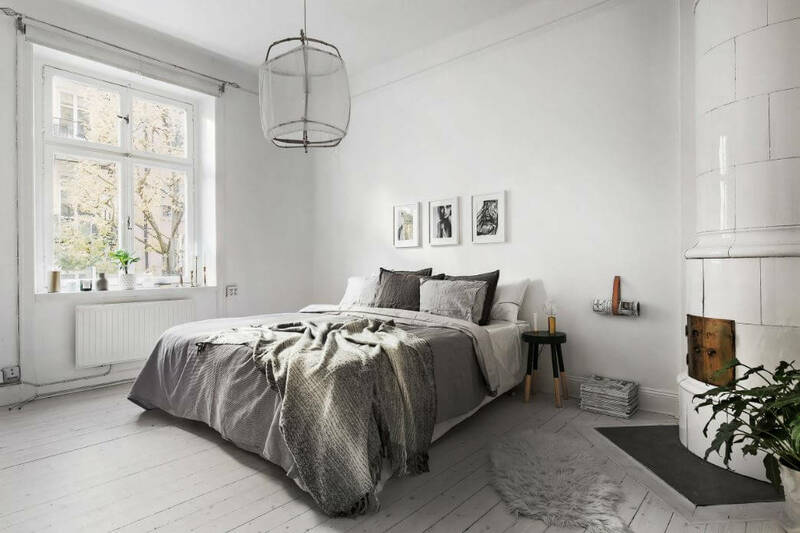 Go for a white and grey color palette to keep your bedroom decor simple and sweet. This bedroom is for couples who like it to be neat and clutter free. Take one look at this farm house bedroom decor and you are hit by a whiff of freshness. I love those exposed beams on the ceiling. The shelving and the French doors add to the look. This is a perfect master bedroom design for couples. The brown color adds warmth to this room and makes it a perfect place to rest after a long day at work. 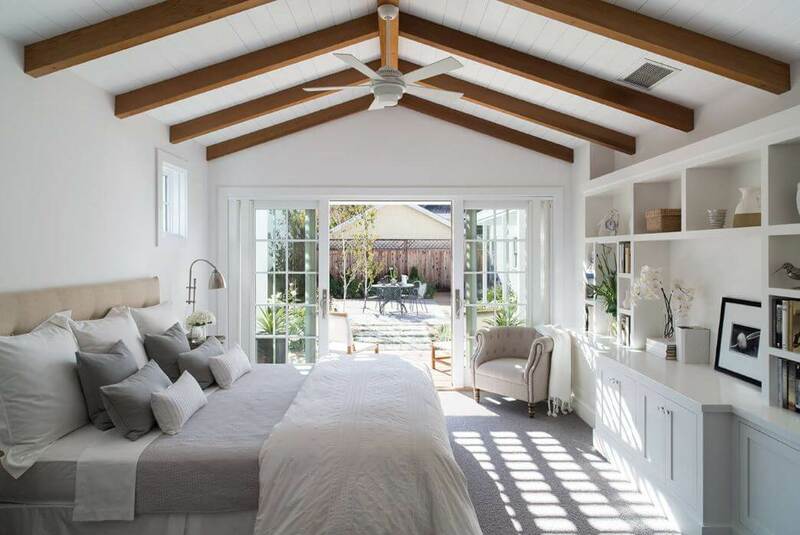 Here is a sweet bedroom in beach style. It has a beautiful four-poster bed flanked with cute side tables and lamps. 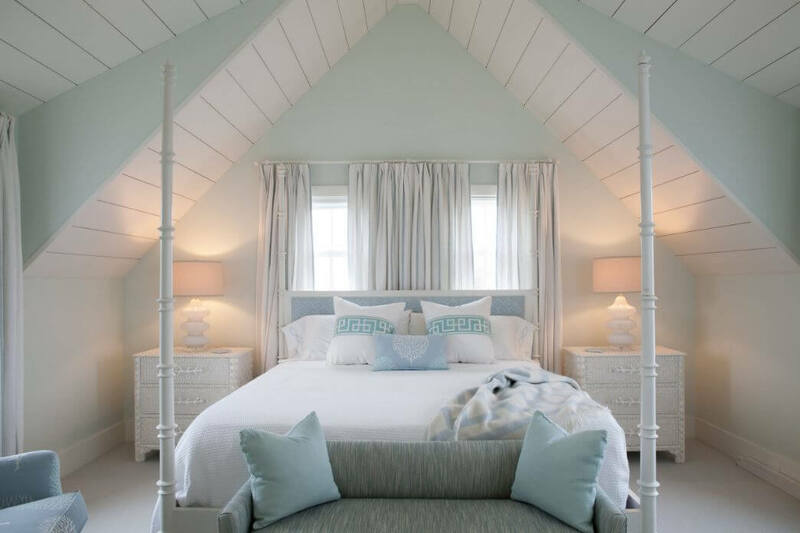 I like the slanting paneled roof, makes this room really adorable. You can pick up some great bedroom ideas for couples from here. This Mediterranean bedroom has glass doors on both sides that make it look quite spacious. 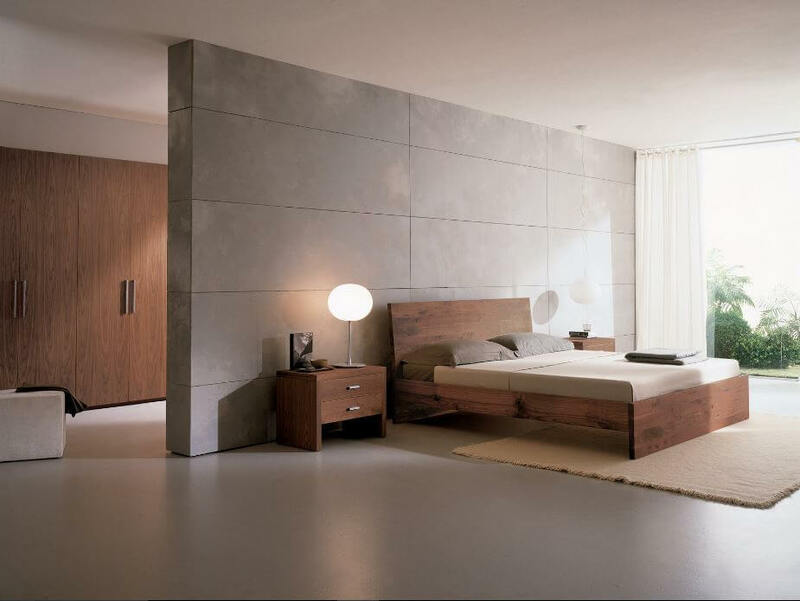 You are looking at a modern bedroom space with defined space and clean lines. This is a huge bedroom with solid wood bed and night stand. It has lots of space to move around and looks totally stylish and fuss-free to me. 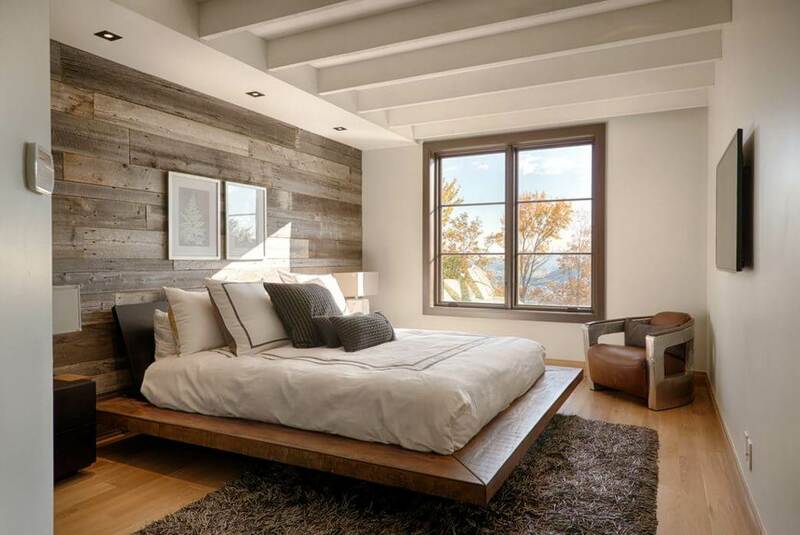 Recreate this rustic feel in your bedroom; go for a wood accent wall behind your bed. Match the bed frame with the color of the floor and place a nice rug in there. This Asian bedroom idea for couples emits a happy feel. It is full of life and looks in close connection to the nature. Use bamboo, jute, wood and fresh flowers to decorate your bedroom in this similar fashion. Here is an ideal place for the couples to chill and celebrate their togetherness. 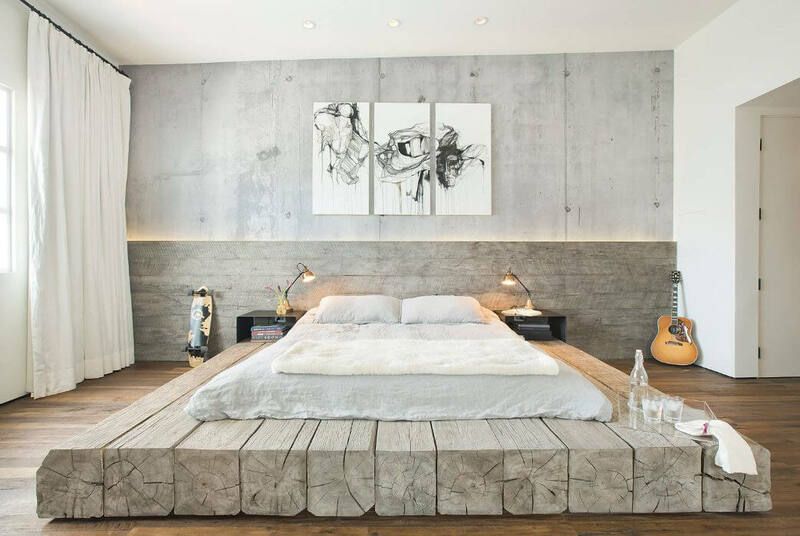 This industrial bedroom looks totally cool. It has a custom bed made of reclaimed log with bent steel side tables in black. 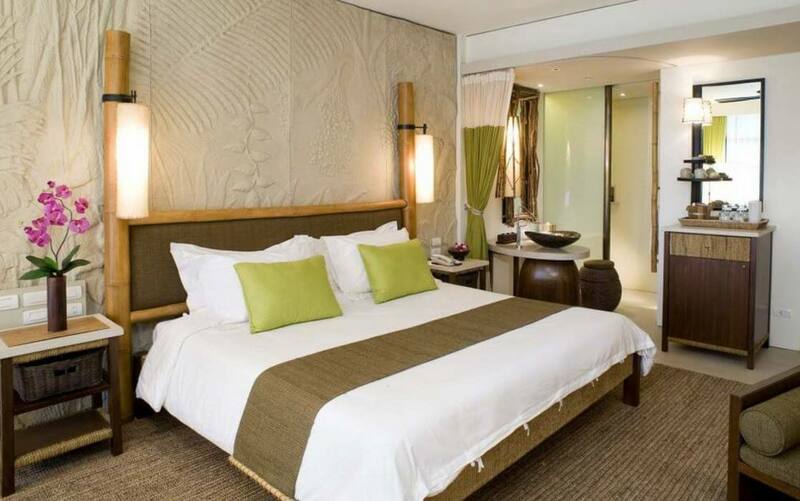 Check out this exotic tropical bedroom. It seems that the interiors in here are inspired by the jungle theme. The decor and the furniture of this room will definitely leave you spell-bound. 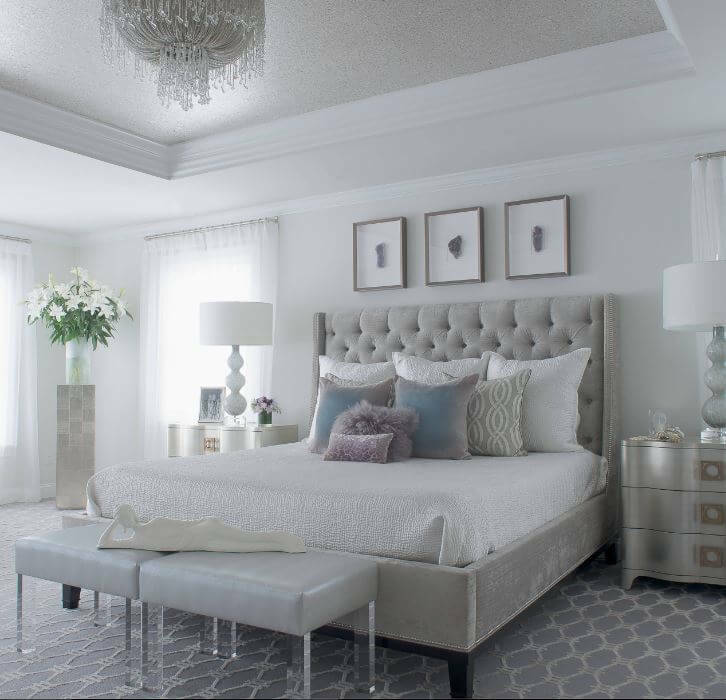 Pick up this dreamy romantic looking transitional bedroom design for your new home. It has a certain amount of glamour and sophistication about it; and yet leaves you at peace. What a lovely bedroom! Add color to your bedroom with colorful accessories, throws, cushions and artwork. I love that traditionally patterned wall paper in grey; matches up to the headboard and the bed linen. 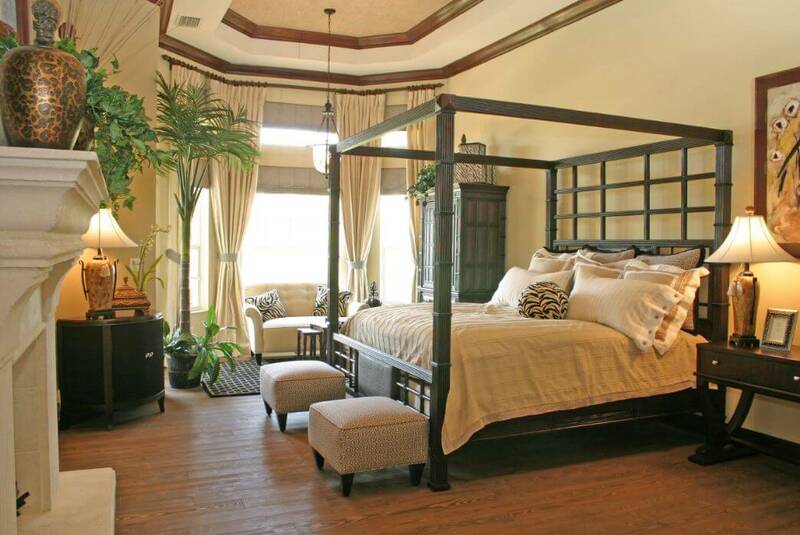 You can choose a craftsman styled master bedroom design. This bedroom has a tray ceiling with gorgeous wood detailing. The bed and the side tables have been beautifully integrated together with the window frame. 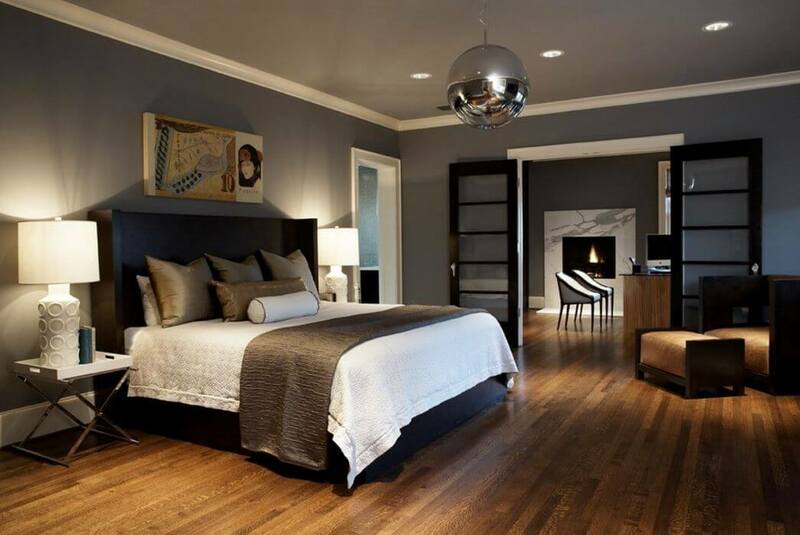 This entry was posted in Bedroom, Bedroom Designs and tagged Beautiful Bedrooms for Couples, Bedroom Colors, Bedroom Design for Couples, Bedroom Design Photo Gallery, Bedroom Designs, Bedroom Designs for Couples, Bedroom Designs India, Bedroom Furniture, Bedroom Ideas, Bedroom Ideas for Couples, Bedroom Interior, Indian Bedroom Designs, Master Bedroom Designs, Master Bedroom Ideas for Couples, Modern Bedroom Designs, Romantic Bedroom Decorating Ideas for Couples, Romantic Bedroom Ideas for Couples, Romantic Master Bedroom Ideas, Room Decoration Items, Small Bedroom Design, Small Bedroom Designs by Homemakeover. Bookmark the permalink.